Inmarsat (LSE:ISAT.L) has reached an agreement with Campbell Shipping, a ship management company headquartered in Nassau, The Bahamas, to migrate its fleet of dry bulk carriers to Fleet Xpress. 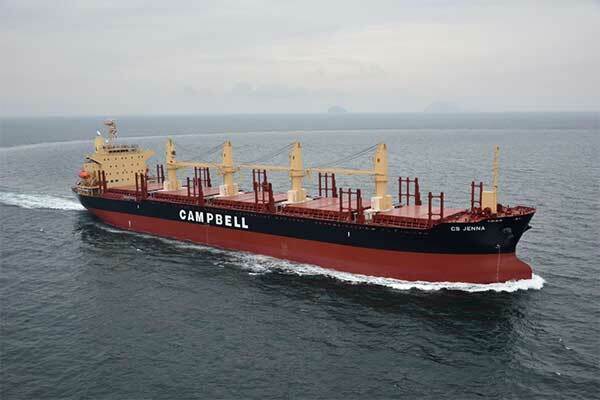 The commitment will involve a migration and upgrade from Inmarsat’s XpressLink services to Fleet Xpress, in a move to ensure ships managed by Campbell ships will continue to have the best satellite connectivity service available on the market, according to Capt. Anindya Dasgupta, VP Human Capital, Campbell Shipping. Campbell Shipping regards resilient and high-performance IT and communications infrastructure as essential in enabling its management system, the Campbell Target Operating Model (C-TOM), to perform to its full potential; ensuring vessel productivity and safety, and alleviating the isolation sometimes felt by those working at sea. “Our success is directly attributed to the company’s philosophy of building better lives for the people we employ,” said Capt. Dasgupta. “Although we are in the business of moving cargo, we never forget our commitment to our team members. Today’s seafarers want to stay in touch with their families and remain connected to the rest of the world. Reliable connectivity is therefore crucial. Faster on-board Internet and low-cost calling options will result in improved morale, contributing to productivity and the retention of talent in the company. Gert-Jan Panken, Inmarsat Maritime’s Vice President for Merchant Marine emphasised Inmarsat’s longstanding relationship with Campbell Shipping, describing the ship manager as “a keen early-adopter of our latest maritime connectivity solutions”.